Composed by Anton Bruckner (1824-1896). Edited by John Rutter. Mixed Voices. 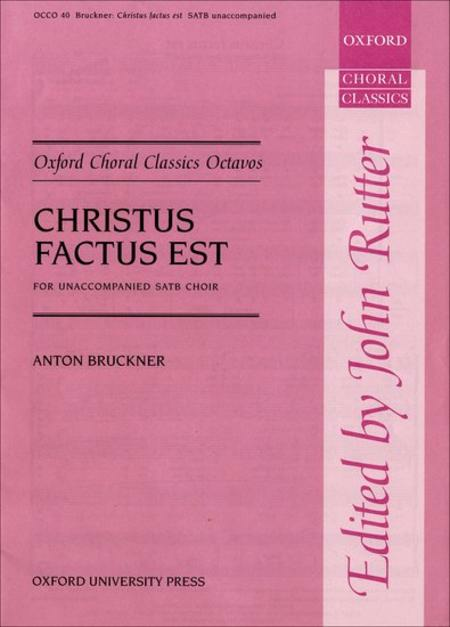 Oxford Choral Classics Octavos. Sacred, Choral Leaflet. Vocal score. 8 pages. Duration 2'. Oxford University Press #9780193418141. Published by Oxford University Press (OU.9780193418141). ISBN 9780193418141. 11 x 7 inches.